Growler hang tags are a quick and easy way to label growlers. These durable growler tags easily attach to growler handles with a 12" knotted cotton string. 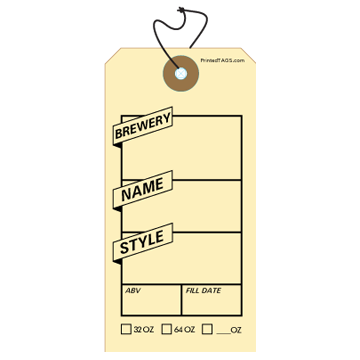 Durable tag stock ensures that the growler hang tag will last until the next growler fill.